When bail liabilities are removed and money returned. Liabilities of the bail bond are dismissed when the court case has been settled and the defendant has either been acquitted or sentenced – it’s at this time the court will void the liabilities. Removing bail bond liabilities is also referred to as the “exoneration” or “discharge” of a bail bond. The liability of a bail bond is removed once all terms have been satisfied which includes attendance of all court proceedings. Once a court verifies discharge of the bail bond, the bail agent should then return any items to the defendant or indemnitor that were secured as bail collateral, unless outstanding premium or other payments are due. Keep in mind that the defendant and the cosignor are still liable for any legal fines or penalties regarding the case as well as any bail bondsman office or associated fees. 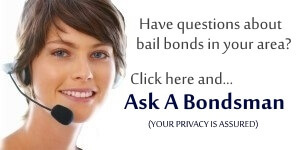 When getting a bail bond, is it a one time fee for the bond. I guess what I am asking is after I have paid that bond, but before the liability of a bail bond is removed, do I have to pay interest on the full amount of the bail bond? I assume it is the former, but I wanted to be sure.